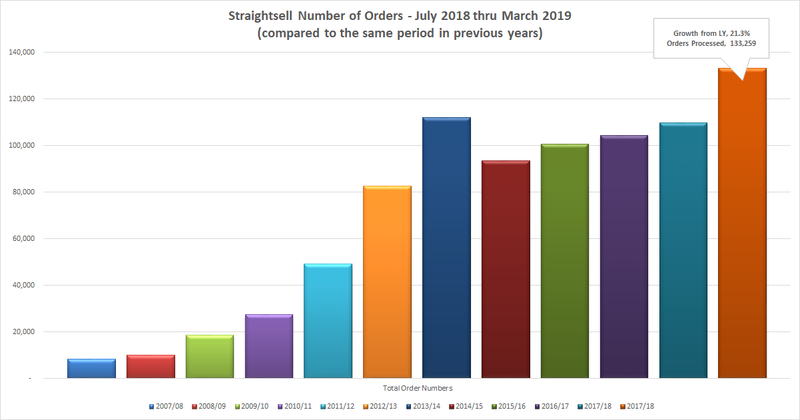 From July 2018 thru March 2019, 133,259 orders worth over $77.410M were processed via Straightsell. 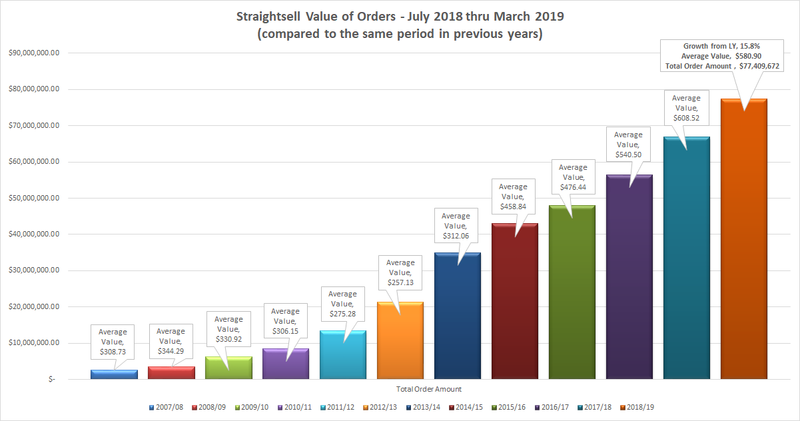 A 15.8% increase in the value of orders and a 21.3% increase in the number of orders processed for the same period last year! 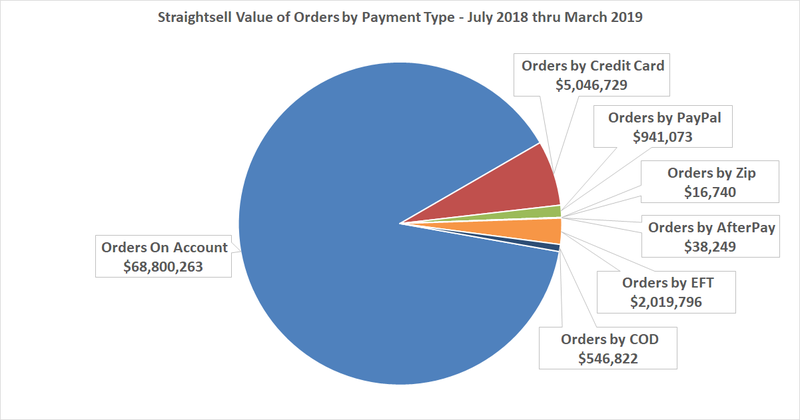 Most Straightsell orders are processed On Account, followed by Credit Card, then EFT. Although, Zip and AfterPay order values have grown signifcantly, Zip almost doubling value this quarter, and AfterPay 60% higher this quarter compared to the previous 6 months. Straightsell - Ecommerce. Integration. Easy.